This book explores Irish experiences of medicine and health during the First and Second World Wars, the War of Independence and the Civil War. 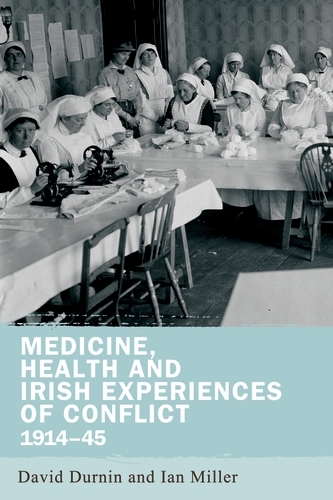 It examines the physical, mental and emotional impact of conflict on Irish political and social life, as well as medical, scientific and official interventions in Irish health matters. The contributors put forward the case that warfare and political unrest profoundly shaped Irish experiences of medicine and health, and that Irish political, social and economic contexts added unique contours to those experiences not evident in other countries. In pursuing these themes, the book offers an original and focused intervention into a central, but so far unexplored, area of Irish medical history.